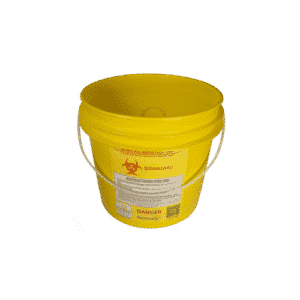 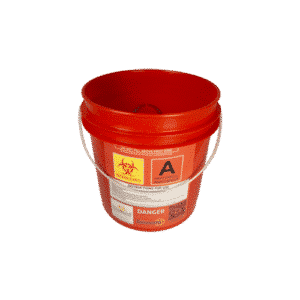 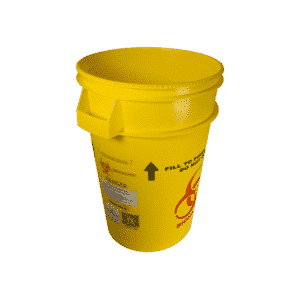 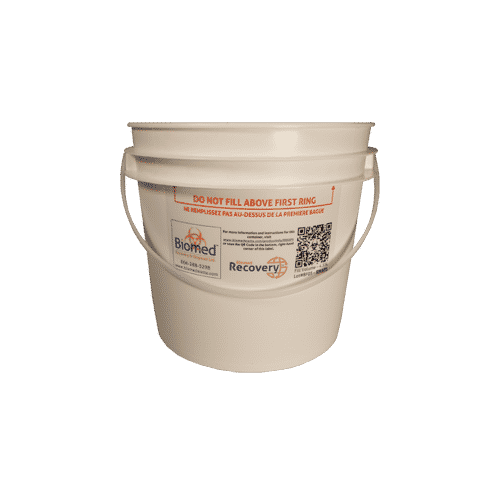 4.55-Litre White Multi-Use Pail – Biomed Recovery & Disposal Ltd. 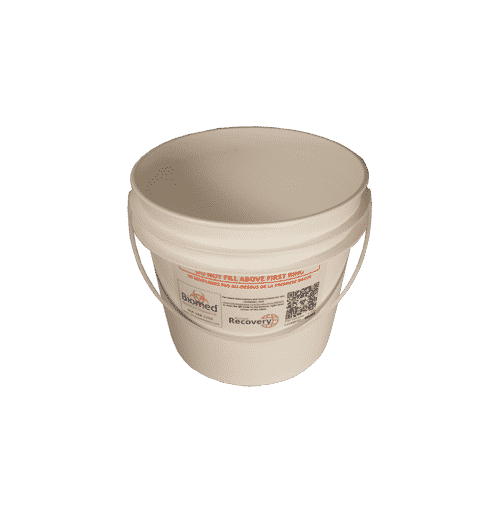 The RWAP5 is a white, 4.55-litre pail that can be used for a variety of purposes, and includes a study carrying handle above the fill line. 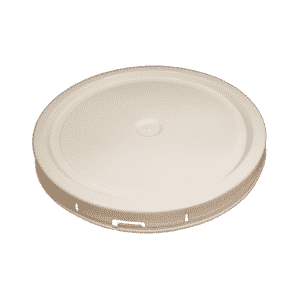 Possible lid choices include RRGL6, RYPL6, RYHL6, RYGL6, RYSL6, or RWGL6. 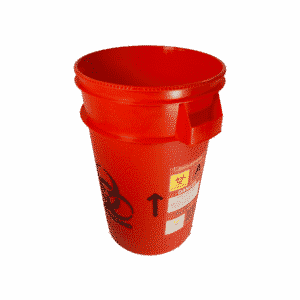 As well, a variety of adhesive labels are available, if needed, to indicate specific contents – ARAS1, ARIS1, ARPS1, AGCS1, AYDS1, and AYSS1.